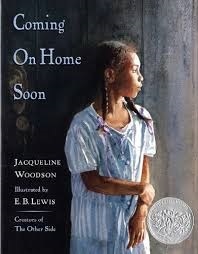 Jackie’s words transported me into the world of a little girl who loved and missed her father. I felt her longing, her anticipation. I rode the bus with her and Grandma to visit Daddy. Then I learned he was away because he was “doing a little time.” The page became blurry as I blinked away tears. This. Was. A. Story. 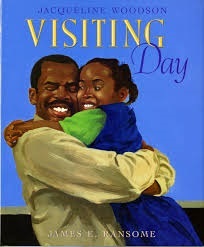 I felt the child’s joy at being reunited with her father. I felt the pride Daddy showed in seeing his baby girl. I felt their love that knows no bounds. Real. Resonant. Rich. What a gift to create a masterpiece like that. After Visiting Day, I read everything I could by Jackie, eagerly awaiting her next release. I longed to make music on the page, breathe life into characters and make readers feel like she did. Books like Sweet, Sweet Memory, The Other Side, Coming On Home Soon and Show Way became my friends, my teachers. Wade and Cheryl Hudson of Just Us Books published my first two books, lovingly guiding me and welcoming me to the world of writing for kids. Then, Ellen’s Broom was acquired by Nancy Paulsen, Jackie’s editor. I marveled at how God moves. I kept growing, helped by brilliant editors like Stacey Barney, Nancy and Wade and Cheryl. And though I hadn’t met Jackie, her work kept teaching me too. 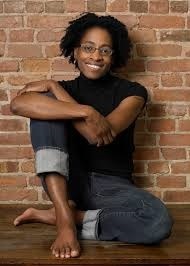 I devoured her moving middle-grade and YA novels like Locomotion, Feathers, After Tupac and D Foster and Miracle’s Boys, celebrated as she won award after award. Then Daniel Minter won the Coretta Scott King Illustrator Honor for Ellen’s Broom. My editor Stacey invited me to attend the ALA events and who did I meet – Jackie – just as wonderful an d encouraging as I imagined. 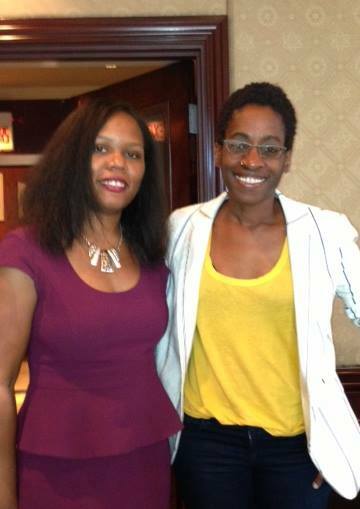 At the CSK breakfast, Jackie’s speech, steeped in activism, spoke to me, reminding me to always use my gifts to give back. Since then, Jackie has become a friend. Along with the countless kids she inspires, she shows authors like me how to dig deep, put our hearts on the page and tell stories of children who are too often unsung. She shows us how to stand for justice through our books and actions. She shows us what it means to be humble. 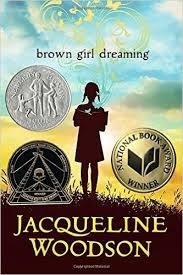 Jackie has won the Margaret A. Edwards Award for Lifetime Achievement, National Book Award, Coretta Scott King Book Awards, Newbery Honor Medals and she’s still beautifully, authentically herself. She’s that sister who gives you hugs that make you feel seen and loved, offers words that build you up and challenge you to rise even higher and quietly helps you get there. Thank you, Jackie, for showing me the kind of author I can be. I remember reading FROM THE NOTEBOOKS OF MELANIN SUN and thinking, “Who IS this woman?” and reading all I could of hers. She has such an un-self-conscious way of “being” in her work, that voice always seems effortless. I’m always pleased to see her recognized and celebrated for that.